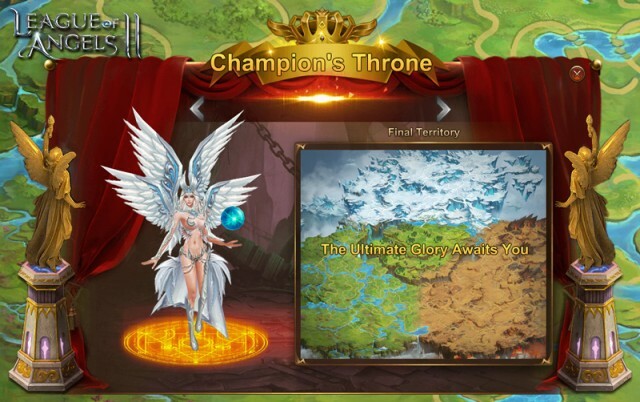 League of Angels II - Eternal War Ignites Sapphire! 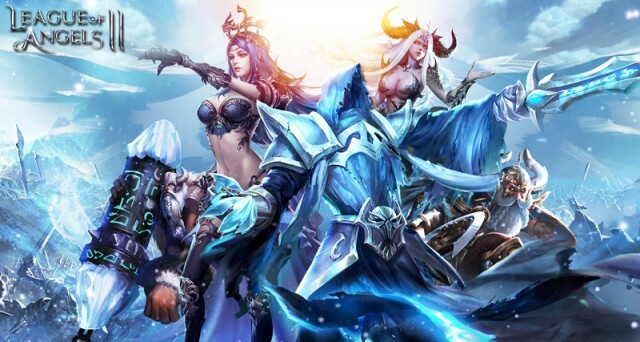 The popular 3D browser MMORPG League of Angels II has just released its first free Expansion and a call to arms has been issued to all players! Come experience the epic struggle between the Elemental Lords in the massive battlefield known as the Eternal War! With a mix of PvP and PvE gameplay, this new mode has something for everyone! Join a Faction: Eligible players can sign up at the beginning of the War and choose to create or join a Legion from their server. Each Legion Commander will randomly draw to determine their Legion’s Faction. The 3 Factions are Wind, Water, and Fire. While every Legion will be part of a Faction, each Legion is still mostly independent, like a cross server guild. 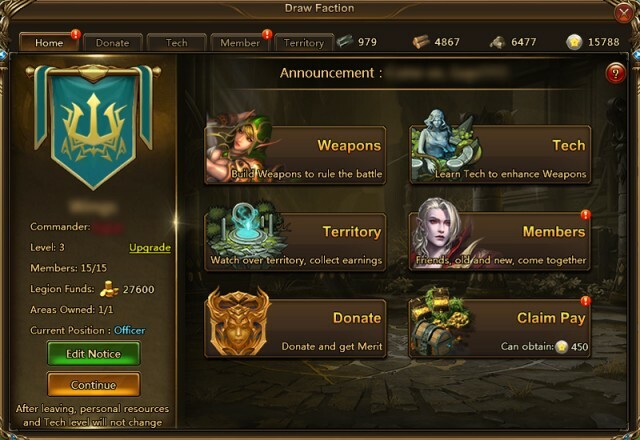 Players can join after the sign up period is over and will directly draw a Faction, afterwards they can join one of the Legions within that Faction or stay independent. Legion Warfare: In a Legion, members will receive pay and also earn funds by giving donations that are used to help upgrade the Legion’s level. Legion Contribution can be used to upgrade Legion Tech bonuses and buff player attributes. After occupying a Stronghold, Legion members can claim resources produced by that Stronghold and utilize them to build Legion Weapons. The Legion chat channel can be used for members to coordinate their assaults and ask for help when under attack. 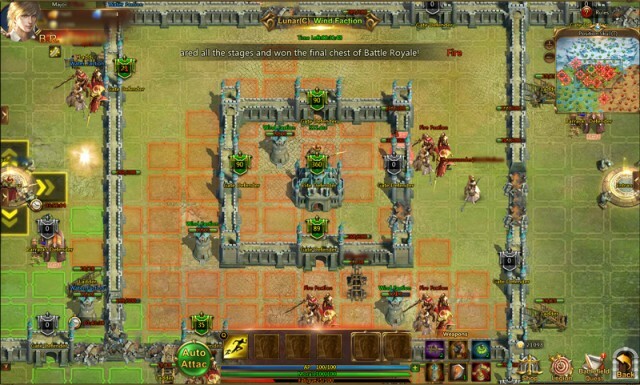 Massive Cross-server Battlefield: In this open strategic playground, there are numerous Strongholds of various sizes for Legions to war over. Depending on the strength of your forces and your strategy, players can attack heavily fortified Castles and Keeps, all the way down to small towns and villages. The Eternal War provides a whole new realm for eager heroes to make a name for themselves. Something for Everyone: The perfect combination of PvP and PvE allows players of all types to really enjoy Eternal War all the day! Siege fortifications and pillage resources while preventing the enemy from doing the same to you! Build an assortment of Legion Weapons like Battering Rams, Landmines, Archer Towers, Blast Giants, and more. On the PvE side, players can help defend against the NPC Black Dragon Legion’s irregular assaults and hunt down NPC Bosses in the wilderness. The General of the wining Faction will earn a seat on the coveted Champion's Throne and gain eternal glory (at least until the next Eternal War). The top warriors, based on Merits and Medals warned, will be ranked on the honor list and meanwhile gain a lot of rare items and resources for their Military exploits. The Angels are eagerly anticipating news of your triumph! 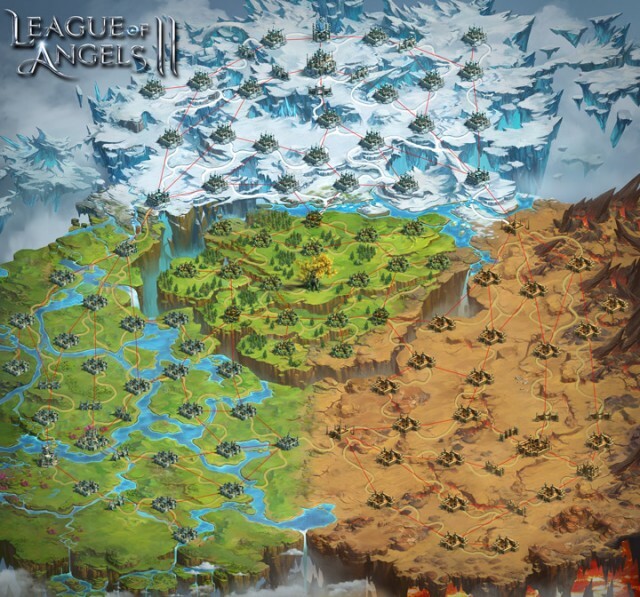 League of Angels II invites all players to experience it’s first Expansion: Angel of Desire! The Expansion, like the full game, is completely free to play so there’s no reason to delay! Play now and rise to become the champion of the Eternal War!